Starting at 6PM you can find the new Defender IPA on tap at the bar, as well as Brooklyn Sorachi Ace and Bel Air Sour. 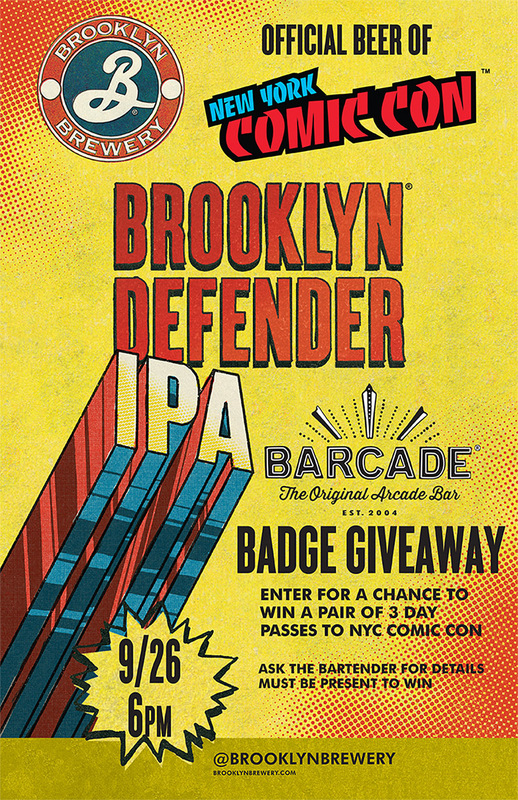 To honor the occasion, we will be giving away special Defender pint glasses with the purchase of a Brooklyn Defender IPA beer (while supplies last), as well as raffling off two tickets to New York Comic Con for a couple of very lucky fans. Comic Con Tickets will be raffled off at 8PM and you must be present to win!